Amsterdamians have fought in wars dating back to the Revolutionary War, War of 1812, Civil War, and beyond. 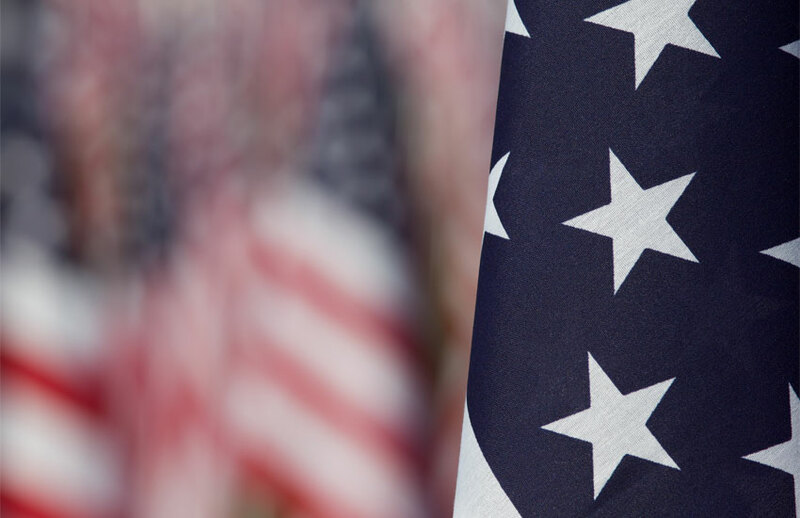 Through the efforts of city residents, government and local veterans' organizations, a desire arose to commemorate those had served, and especially, those who had paid the ultimate sacrifice. War memorials and monuments were built throughout the city to honor those who died in service, those who had served and survived, and some individual heroes. 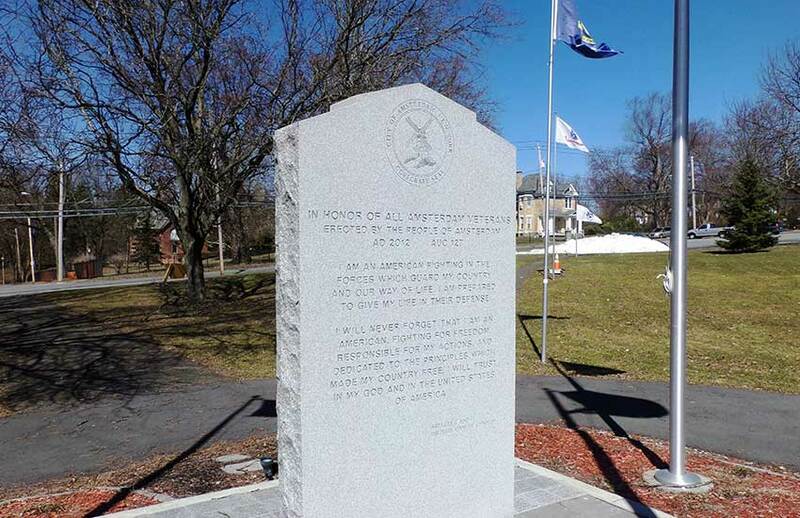 Today with the help of public, private, government and veterans' organizations, the City of Amsterdam maintains over a dozen memorials and monuments. Perhaps the most colorful replacement to a ward honor roll, this memorial started as a stone monument sponsored by the 3rd and 4th Ward Republican Committees in 1967. In 1972, flags were added to the monument. According to a plaque at the site, there were at first ten flags: United States, New York State, City of Amsterdam, Italian, Irish, Lebanese, Lithuanian, Polish, Puerto Rican, and Polish. An eleventh pole and flag, Israeli, was added soon afterwards. Each foreign flag represented an Amsterdam ethnic community that gave its sons and daughters to the service and also helped raise funding for the memorial. 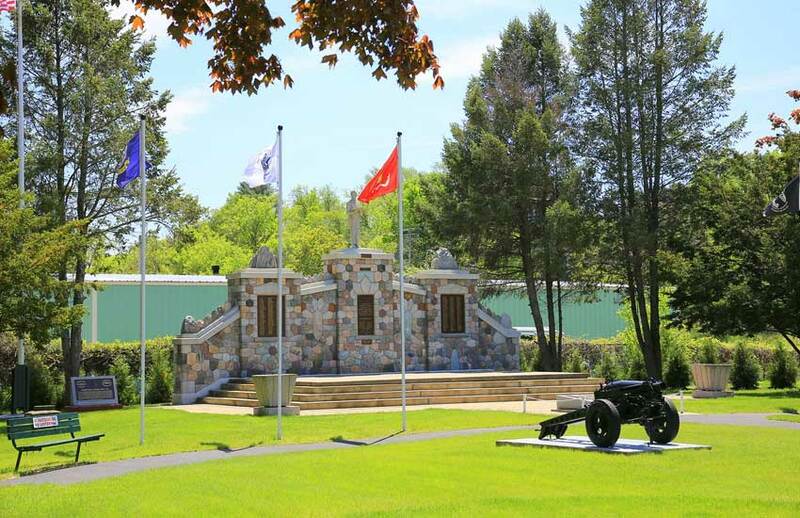 The nearby intersection of Edison Street and Vrooman Avenue has been designated [Anthony] Draus Drive and [Karol] Krajewski Corners after two of the primary organizers who created the monument. The land for the monument was reserved from the sale of the former Vrooman Avenue School. The South Side (5th Ward) was the first ward to create a temporary honor roll, and the first to prepare for a permanent replacement. In July, 1944, the Common Council voted to demolish a store house on Bridge Street and dedicate the land for permanent 5th Ward Memorial. A door-to-door canvas commenced immediately. By 1946, a beautiful cobblestone monument had been hand crafted by local resident William Nicholas. Plaques to honor all those who served would come later, as would the statue of a military chaplain which surmounts the monuments donated by Mr. and Mrs. Angelo Petitti, in memory of their son Private Anthony J. Petitti, who was killed in action while serving with the Army Air Forces in the Pacific, in May, 1942. 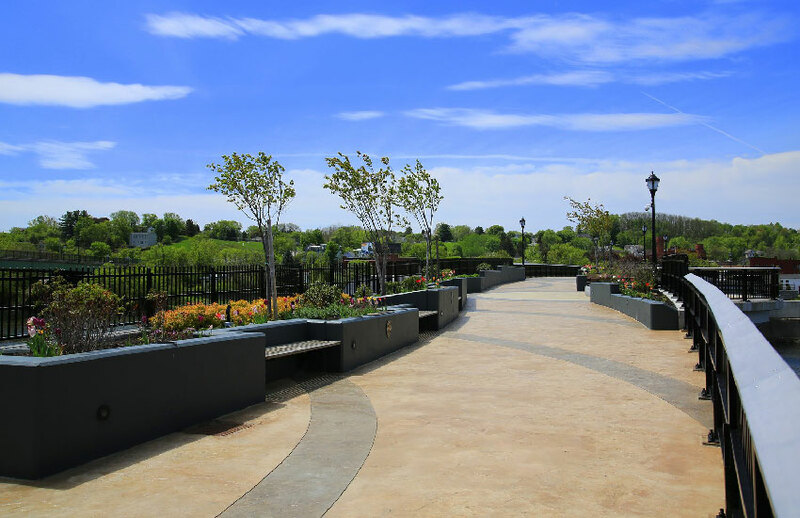 The park was officially dedicated on Sunday, July 28th, 1957: there was a large parade and the main speaker was Peter Dellesandro, of Latham, New York, Medal of Honor awardee. 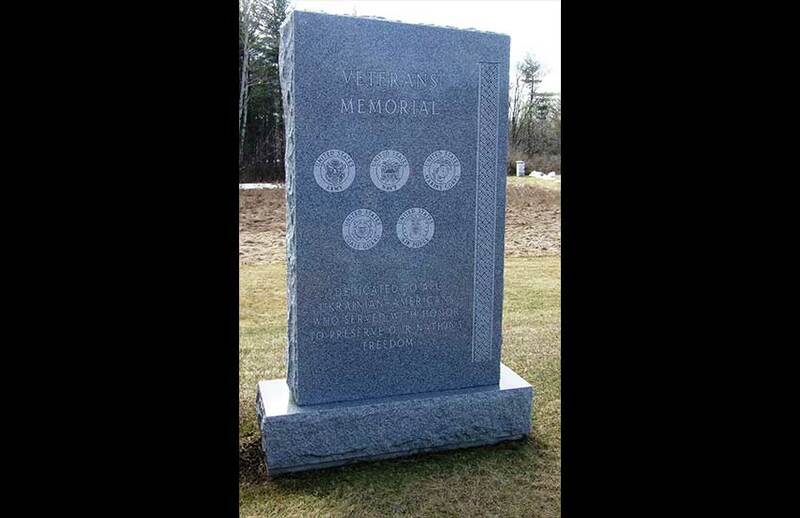 This monument is a triptych (three panels) which includes a central inscription flanked by the emblems of the US Army, US Navy, US Marine Corps, and US Air Force. (There is no emblem for the US Coast Guard, but in wartime, it is part of the US Navy). The walls are stucco, which echo the historic building that sits slightly beyond it. At the location of the original World War Two honor roll, the land was donated by Bigelow-Sanford in 1946. In 1963, a campaign started to restore the original honor roll which culminated in 1967. After that, an effort was pushed to create the permanent replacement which came to fruition in 1973. Near the location of the original World War II honor roll, this monument was one of the last replacements erected, and is very simple: a simple granite rectangle on a rusticated base. 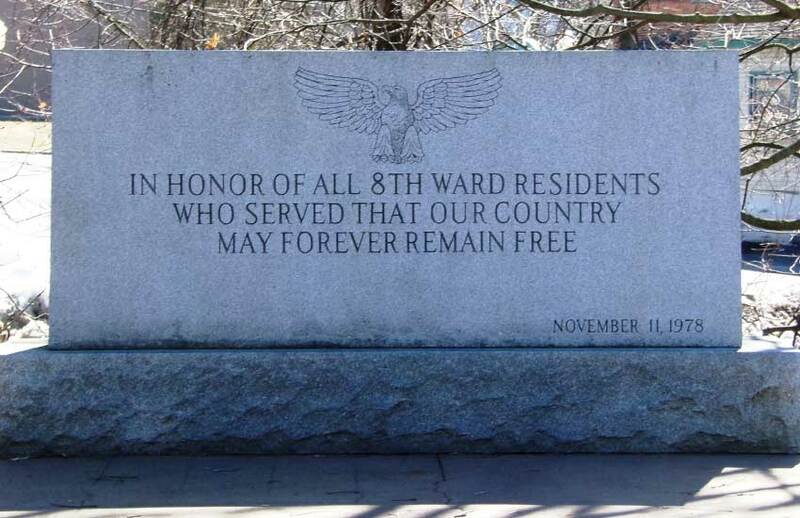 It is inscribed simply “In Honor of all Eighth Ward Residents Who Served That Our Country May Forever Remain Free.” It was dedicated on November 11, 1978. Perhaps the most evocative, and unique (in at least Upstate New York), is this monument on the south side of Veterans’ Field. 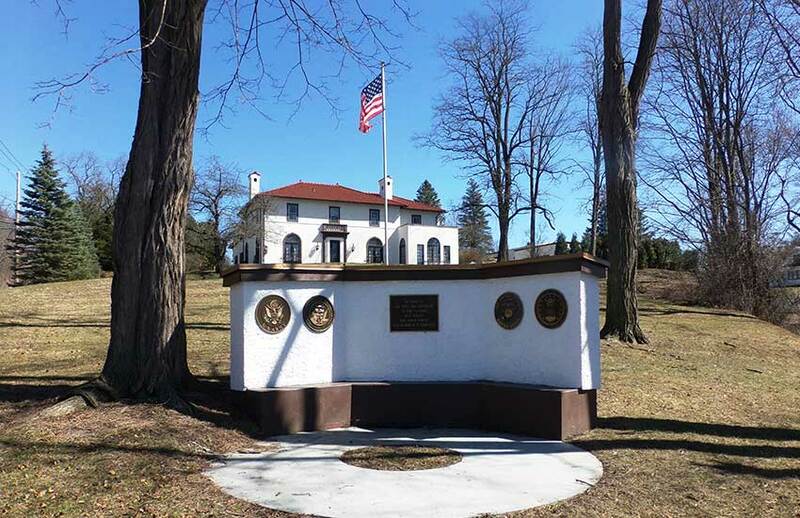 It was originally conceived as a rather typical veteran memorial, with service emblems and a photoengraved stone with servicemen in contemporary uniforms (this stone was eventually sold by the manufacturer to the Town of Florida Veterans’ Park, complete with quotes selected by the Amsterdam Veterans Commission). Around 1918, the city acquired the former property of George Kelloggs at the intersection of West Main and Pearl Streets. Part of the property (the former stables) were converted into a new central fire station; another into a park known as Kelloggs’. 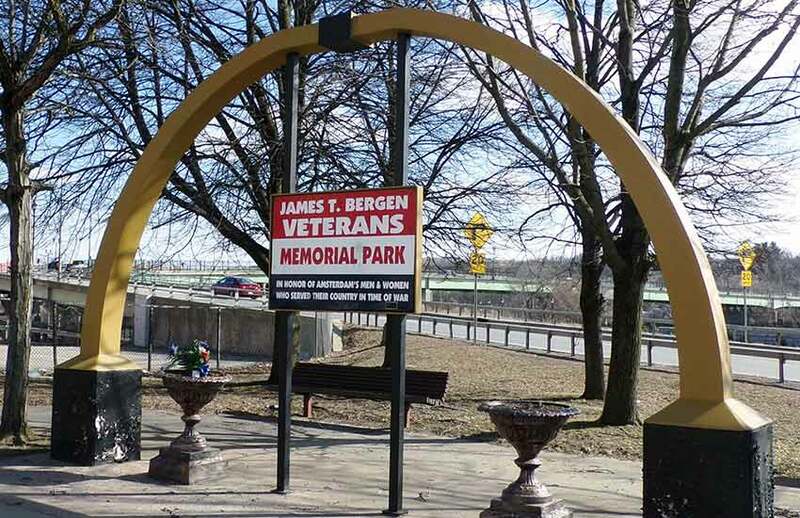 This was renamed Bergen Park in 1921 in memory of James T. Bergen, First Lieutenant of Amsterdam’s Company H, 2nd New York Infantry, who shipped out with the unit in 1917 – but not before marrying his girlfriend. 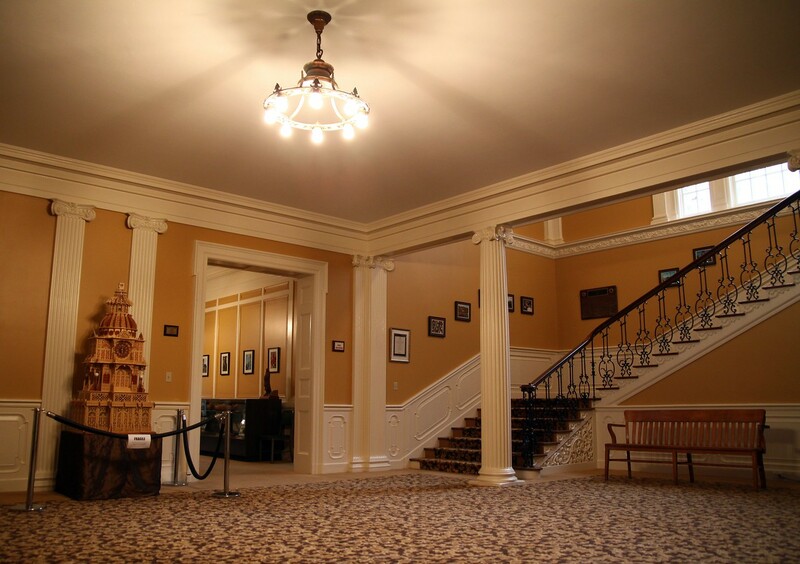 The lobby contains a plaque containing the names of all those who served in the 27th Division (New York) in World War One. Future plans call for the creation of a military/veterans hallway with photos and art related to the history of Amsterdam. A marker is also slated to be installed in the upper stairwell to ABLE NAN BLACK 45 ALTERNATE: the telephone code name for the civilian Ground Observers Corps which manned an early warning station in the 1950s on the roof of City Hall before the radar defenses of North America were developed. Originally Ross’ Flat, site of circuses, bonfires, and one of the foulest murders in Amsterdam history, this site on the eastern edge of the city came into public hands around the time of the First World War, and was designated East End Memorial Park after the war. During the 1920s and 1930s, the park was developed with a skating rink, baseball fields, a football field, a cinder track, and other amenities. 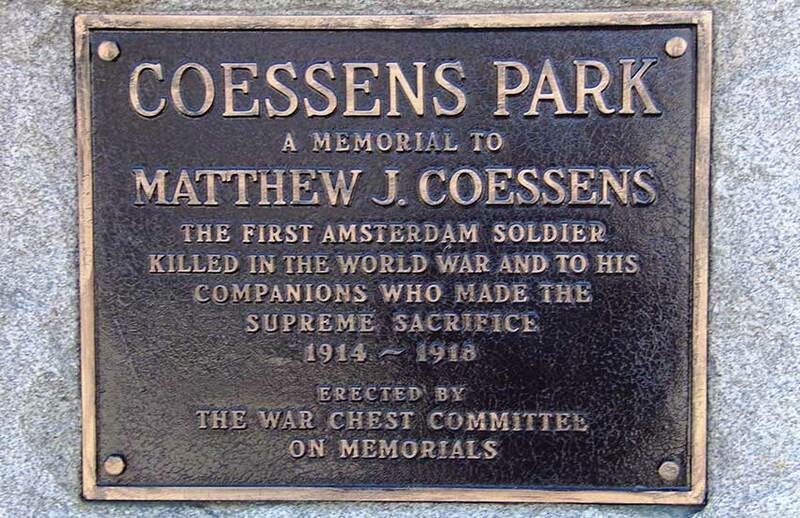 In 1933, the park’s name was changed to Mathew J.
Coessens Memorial Park, named after the first Amsterdamian in die in combat in World War One; the designation was delayed while it appeared that the lower campus of Mohawks Mills might wish to acquire the property. The monument to Coessens was dedicated in April 1935, and a similar plaque and column honoring all the war dead was dedicated on Armistice Day, 1938. Payment for the two monuments came from the same war chests funds that built the West End World War Memorial. 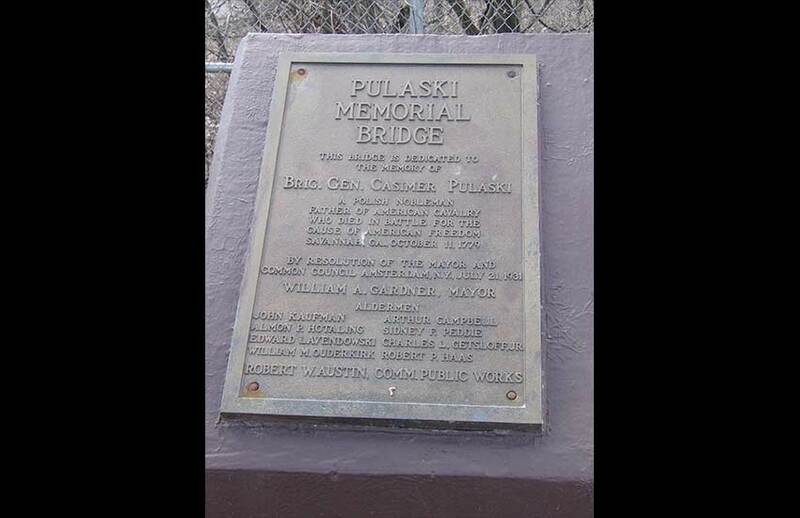 This plaque, mounted on the south-east abutment of the bridge carrying Florida Avenue over the South Chuctanunda Creek, commemorates where New York Militia forces, under command of Brigadier General Robert van Rensselaer, halted by the creek on the night of October 18th, 1780, to await moonrise before climbing Chuctanunda Hill in an attempt to engage British, Tory, and Native American forces raiding in the Schoharie Valley. 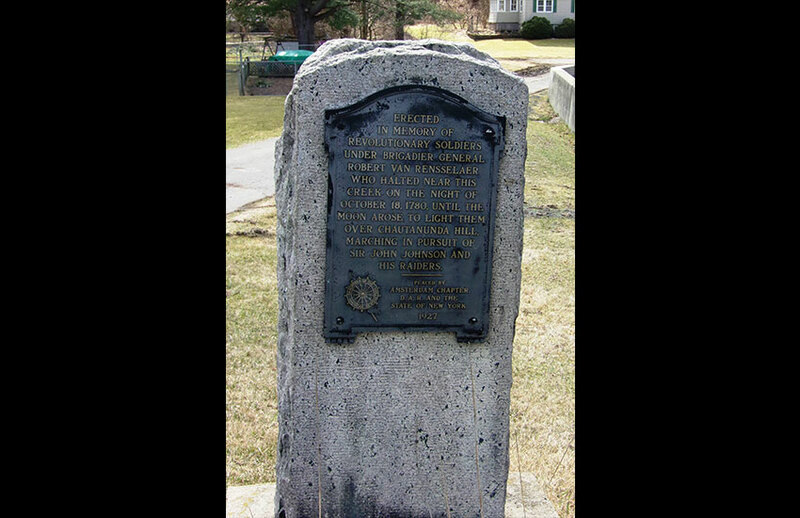 The bronze marker was a donation of the Amsterdam Chapter of the Daughters of the American Revolution, and was unveiled in 1927. 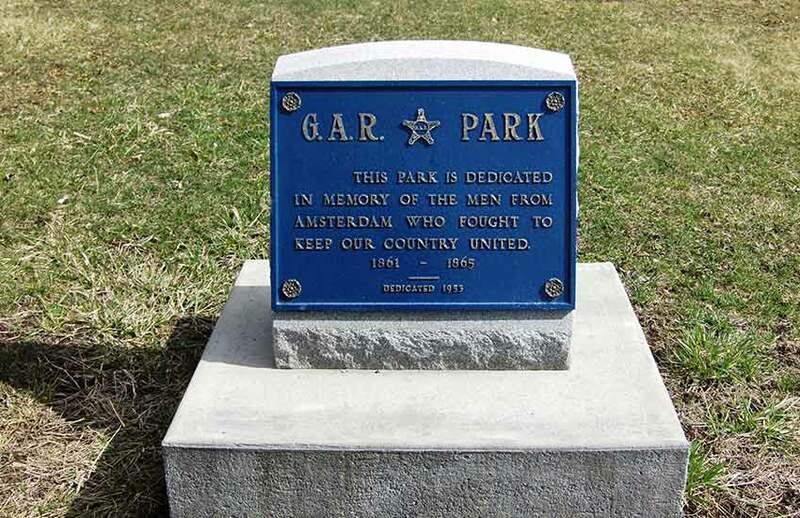 In 1951, representatives of the city’s veterans’ organizations requested that the city dedicate a park to the Grand Army of the Republic. This organization of Union veterans, forerunner of modern veterans’ organizations, had been a powerful social and political influence for decades after the Civil War, but by the 1940s its membership was all but gone. The Common Council concurred and the south lawn of City Hall was so designated. A dedication ceremony was held May 25, 1952: it rained so hard it had to be moved to the lobby of City Hall. On June 28th, 1953, a plaque recording the designation was unveiled on the brick wall. Amsterdam’s 9-11 Memorial depicts a singular local aspect of that tragedy in a way that many other monuments don’t; and those remembered include the service members who died that day. Beyond that, the flag displays include the US Navy’s first naval ensign, which was ordered to be flown on all US warships after that date until the end of the Global War on Terrorism, and the traditional signal for naval hospitals and hospital ships which was changed from “I am standing by to assist” to the more proactive “I am steaming to assist” after the attack. In addition to the history displayed on the bridge, the proposed flag poles for the site include a provision for flying under the city flag the US Navy signal flags for N (NOVEMBER) – U (UNIFORM) – G (GOLF) and B (BRAVO), the radio and visual signal call sign of the USS Amsterdam (CL-101), a light cruiser named for the city that served in the latter days of World War Two. 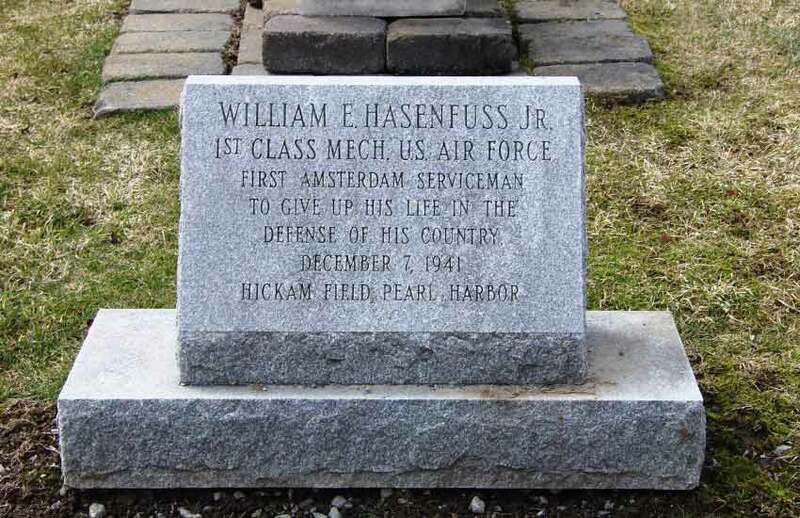 William Hasenfuss, Jr. was a bright young man interested in communications and aviation when he graduated from Wilbur Lynch High School in 1939. He was natural candidate for the US Army Air Corps, in which he enlisted shortly afterwards. By December, 1941, due his experience and the rapid expansion of the service, he was to be promoted from Private First Class (or Technician 1st Class) to Staff Sergeant, and to have a Christmas furlough home. The latter never happened. 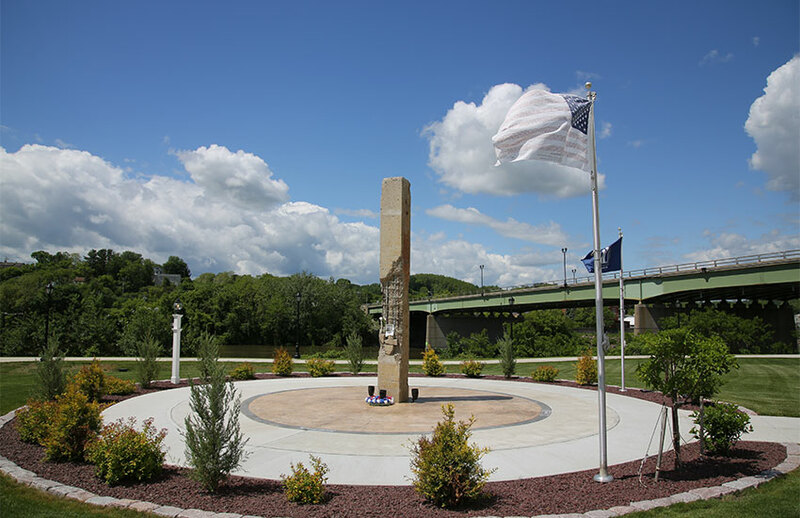 Marnell Square (where Bridge Street meets the Mohawk Valley Gateway Overlook) is named for Technical Sergeant Richard Marnell, who won the Distinguished Service Cross (the second highest US decoration) for heroism in infantry action outside Nancy, France, in 1944. Patrone Square (Main and Church Streets) is named for the son of Italian immigrants who graduated West Point, became an early Army rocket pioneer, and later launch director of NASA’s Mercury, Gemini, and early Apollo Missions, and director of the later Apollo, and Sky Lab missions. Persico Square is named for Donato (Dan) Persico, the second to last man to be rescued off the sunken submarine USS Squalus in 1939. In the first use of a deep sea rescue vessel, the lines snagged and he almost didn’t make it up; after four failed attempts, the bell had to be hand-hauled up on its single remaining connector He later served as in World War Two and Korea, retiring as a Master Chief Torpedo Man and returned to Amsterdam to marry his sweetheart. On Saturday, June 25, 1972, despite rain and overcast, the flag was raised and the monument to Frank John Sirchia was dedicated and blessed on land that had been formerly the grounds of City Memorial Hospital which had been converted to a playground when the hospital had moved up to Route 30. A flight of jets from the 49th Fighter Interceptor Squadron from Griffiss AFB flew over in a “missing man” formation. went into storage at City Hall, where it is periodically displayed. In 1920, Sanford and Sons carpet mills purchased fifty acres to create a recreational facility for its employees. Its successor, Bigelow-Sanford, continued this until it ceased manufacturing in Amsterdam in 1955. The land and improvements were thereafter donated to the city. It was redesignated as Veterans Field in 1971. 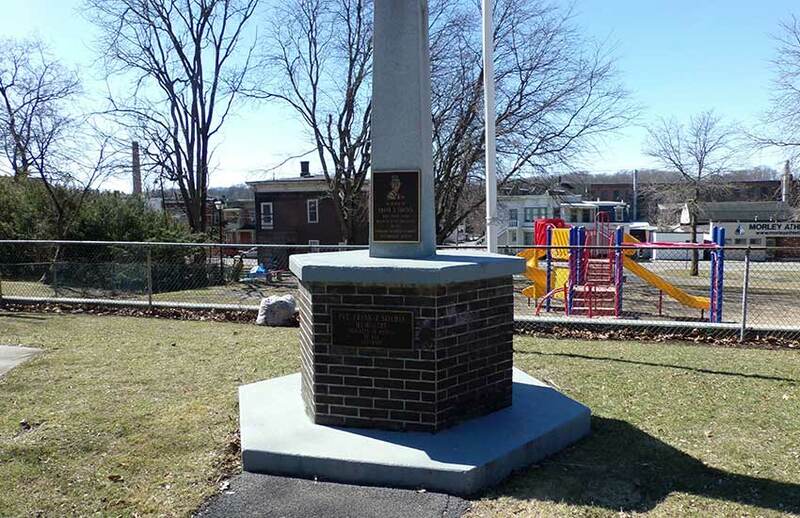 On the northern, higher rise of Veterans’ Field (sometimes called Veterans’ Park), is a monument dedicated to and listing in alphabetical order those who died in service during World War II. 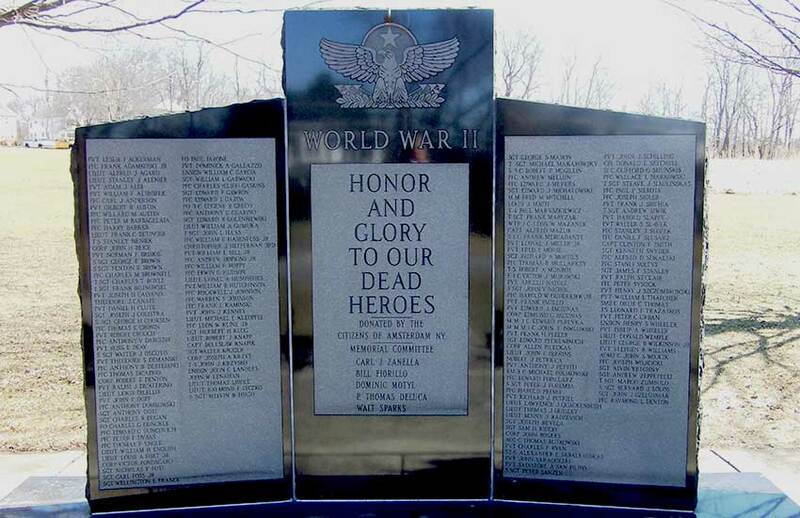 Its central panel calls for “Honor and Glory to Our Dead Heroes.” Two flanking panes list the dead. The basic monument is polished black marble (with rusticated edges) and polished granite inserts. In front of the memorial is a 57mm M1 anti-tank gun, built in 1943 based on a British design, and used in all theaters of World War Two by the US Army. On the south side of the park is Amsterdam Veterans Memorial (see above). In addition to the several Liberty Loans that were raised in the city during the First World War, citizens were asked to contribute to a “war chest” to provide comfort to American and Allied soldiers. At the end of the war there was enough of a surplus to build this park as well as the East End Memorial Park (later, Coessens Park). Private John J. Wyszomirski of Jay Street, Amsterdam (sometimes also given as Jan Wyszomeirski) was originally a member of Company H (Amsterdam) 105th Infantry, 27th Division, but was serving with Company M, when he died in France on October 31, 1918. After training at Camp Wadsworth, Spartanburg, South Carolina, his unit deployed to France in May, 1918. One of only two American divisions released to Allied control, it served in an Australian Corps in a British army in Belgium, first in defensive sectors, and then in the Ypres-Lys offensive. Transferred to Northern France, it fought in the Somme Offensive to break the Hindenburg Line at Bony, St. Quentin Tunnel, and Quillemont Farm. It later fought at the Le Selle and St. Maurice Rivers on the line of advance to Cambrai. Two days after he was mortally wounded his unit was pulled out of the line and did not return to battle before hostilities ceased. The post will celebrate the 100th anniversary of its founding in 2019. Although only open to the general public on certain occasions, the “new headquarters” (1975) contains items regarding Wyszomirski and the post’s first one hundred years. 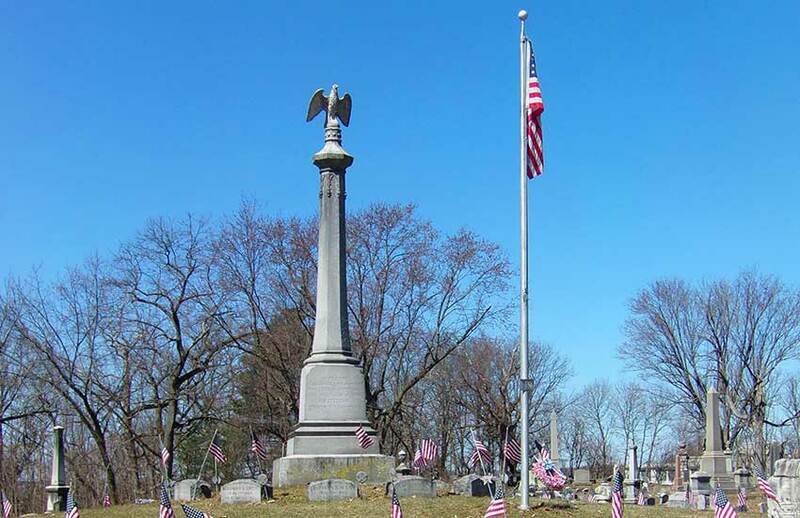 Located in the south central section of the cemetery is an elevated plateau in the middle of which is a column topped by an American eagle and erected in 1872. The northern face of the base is inscribed in memory of those who died in the “War of the Rebellion,” The other three faces list battles regiments with a high proportion of Amsterdamians fought in. 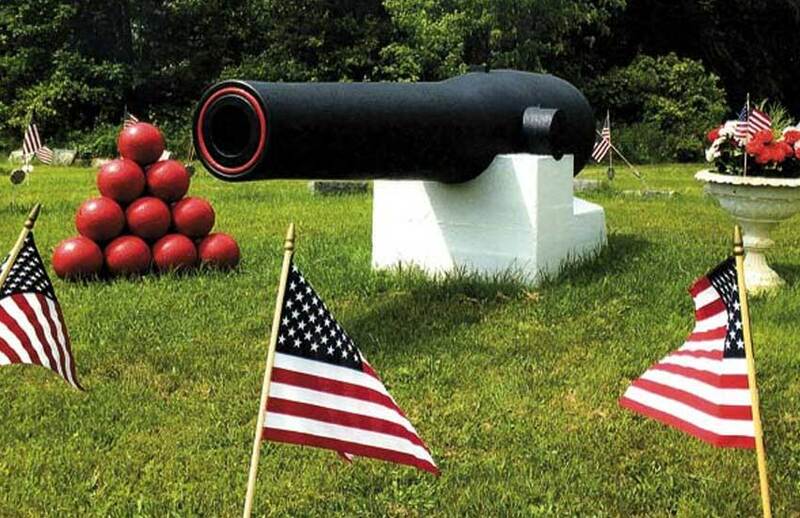 In the north central section of the cemetery is a very unusual appearing Civil War cannon next to a pile of cannon balls and a flagpole. 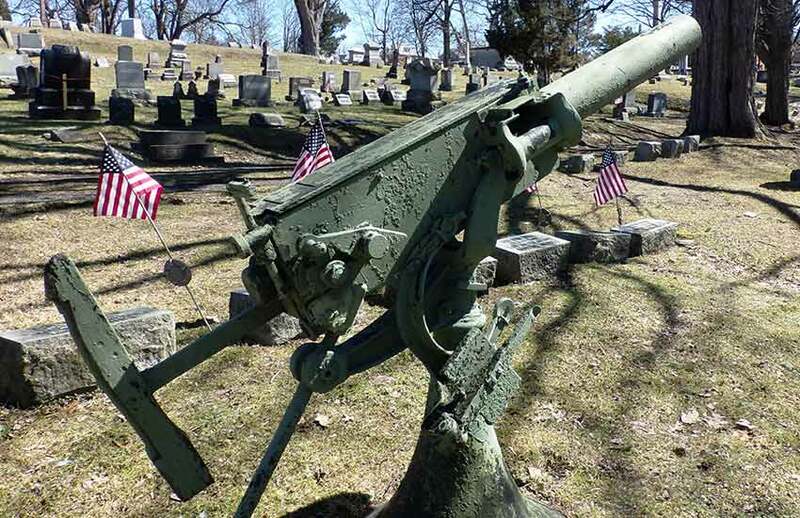 Soon after the creation of the cemetery in 1899, local Civil War veterans determined to create a monument to their comrades as they had done previously at Green Hill Cemetery. The secured a cannon from the Washington Navy Yard, and the money to ship it was raised by a series of travelogues given by Reverend Putnam Cady, of the Emmanuel Presbyterian Church on Guy Park Avenue. These were not just normal travel talks: Cady was a pioneer of archeology in the Holy Land, and one of only a few Americans elected to the Royal Geographical Society. Also on the south side of Green Hill cemetery, but further east, is a grouping of headstones of soldiers and sailors who served is the Spanish American War. It is marked by a flagpole flying an American flag. In the center is what appears to be an oversized machine gun, and in some ways it actually is. It’s a US Navy Mark VI one pounder rapid fire gun, designed by the inventor of the modern machine gun, Hiram Maxim, and built circa 1895, by Vickers, Sons, and Maxim. It could fire 100 37mm rounds per minutes to a range of 4,500 yards. When it was placed there is uncertain, but probably not earlier than 1910, when the US Navy began replacing these with more modern ordnance. Amsterdam’s “castle” sits on a hill on the South Side, visible from many parts of the city. Built in 1894, it was the home of what was originally called the 46th Separate Company of the National Guard of the State of New York. 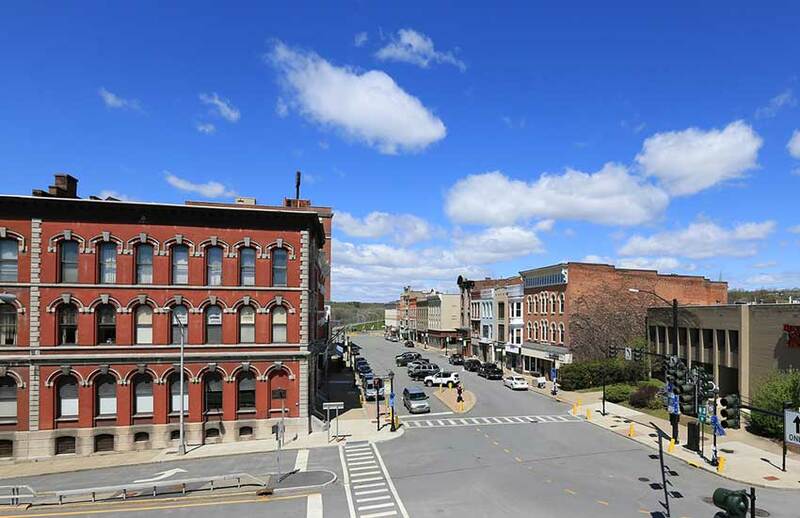 Situated and fortified so that its volunteer members could rapidly assemble, arm, and deploy to protect the Mohawk River bridge and rail yards in case of social or labor unrest. This was never needed, but the command (under several changing designations) was called out numerous times for state service elsewhere, and for federal service in the Spanish American War, on the Mexican Border (1916), and in both world wars. Military activities continued there into the 1980s, when force reductions made the structure surplus. After two sales as a private residence, it is now being rebuilt as a high scale “destination event” bed and breakfast. It is anticipated that the lobby and certain rooms will retain their original ornate character. 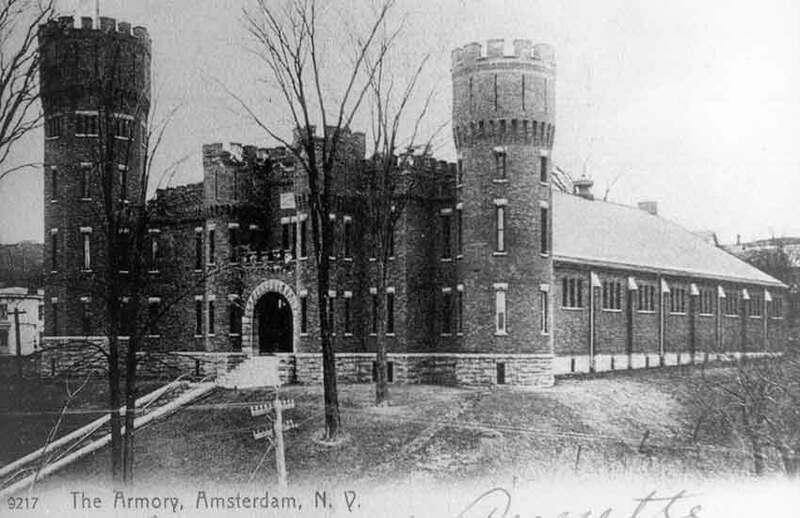 The armory is listed on the National and State Registers of Historic Places. Still standing today, it has been restored and converterd into a hotel, The Amsterdam Castle. 53 Church Street was once the circa 1860s home of a prominent city businessman and his physician brother. 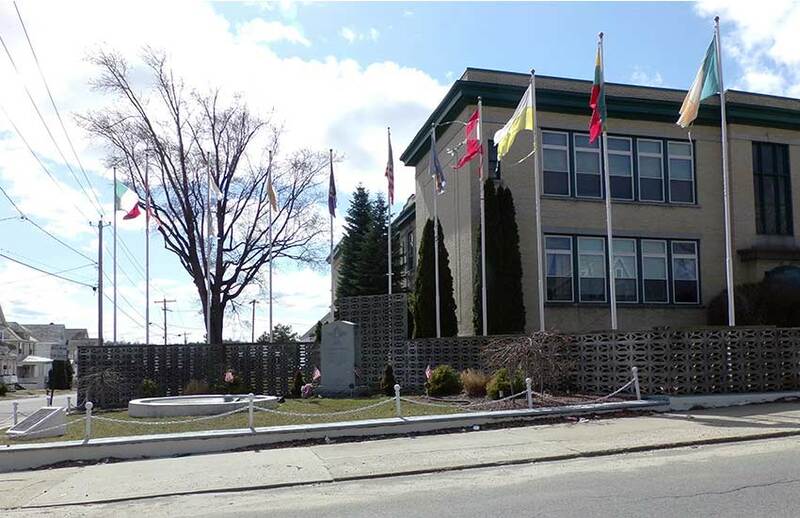 Since 1961, it has been the headquarters of PAV, established by returning Polish-American veterans in 1946. 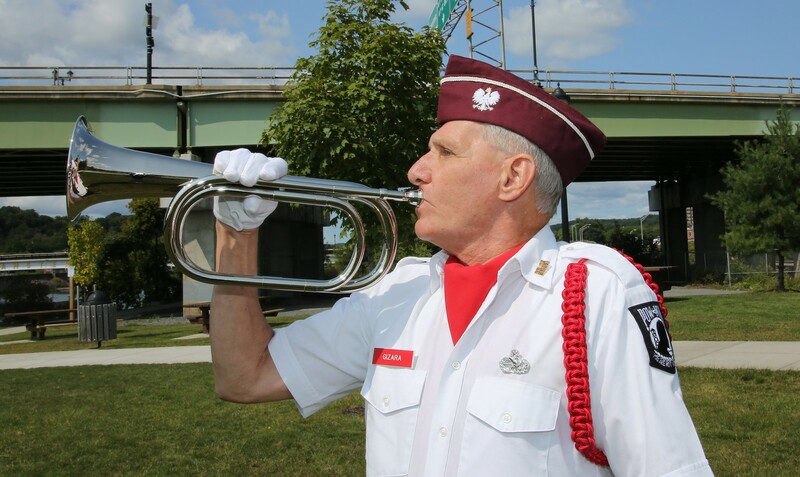 Once, just one of over twenty veterans’ organizations in the city: now it is one of only two. While normally only open to members and guests, several times a year the public is invited in and it’s possible to see over seventy years of veteran activities and memorabilia. Chief of these is the Lista Honorowa, (Honor Roll) hand painted on wood for the Filius Polonais (Sons of Poland) in 1919. Always visible out front of the post is a stone honoring the Henry Schotte Post 118 of the Military Order of the Purple Heart (MOPH), which met for many years at the PAV. 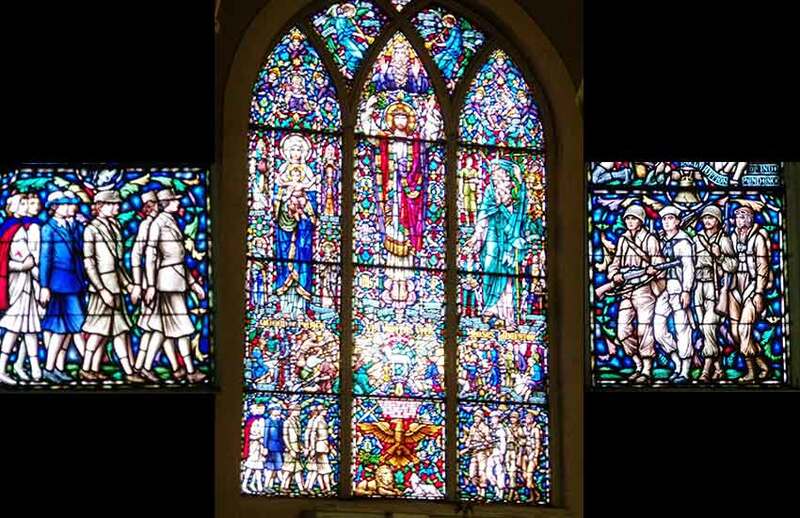 The “Liberty” stained glass window (sometimes called the “Freedom” window) was dedicated and blessed on Sunday, June 10th, 1945, in honor of those who were serving or missing or killed, followed by a solemn mass. Many military, veteran, and religious organizations participated, and a drum and bugle sounded off during the elevating of the chalices. 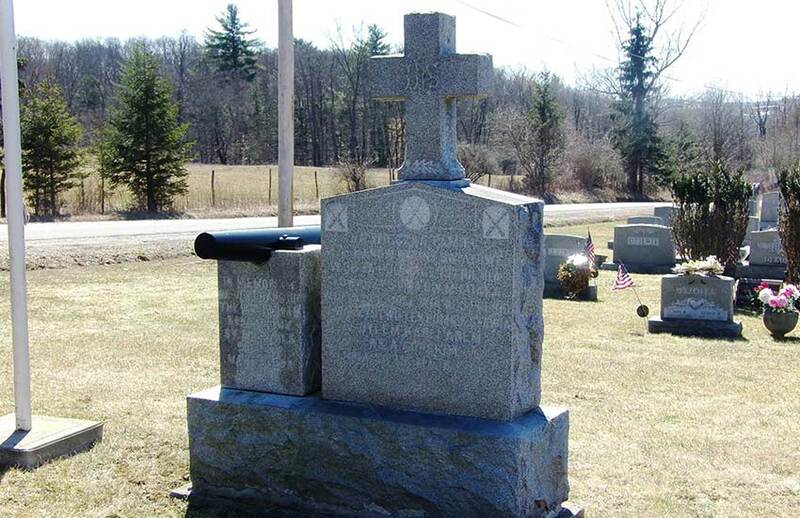 In the southeastern portion of the cemetery, there is a flagpole and two stones on one base, one in English, one in Polish, dedicated to the dead of World War One. In front is a semicircle of headstones, including that of John Wyszomirski, for whom American Legion Post 701 is named. 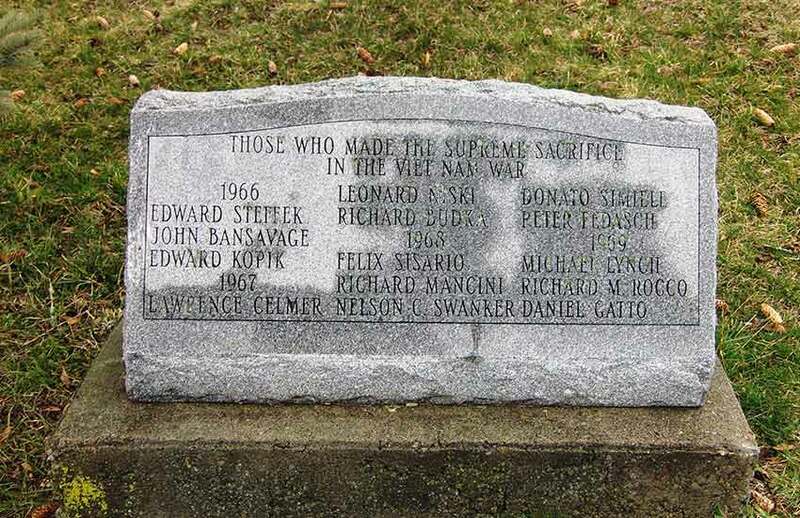 The stones were dedicated May 30, 1928 by the Saint Michaels’ Society (St. Michael’s Roman Catholic Church) On the same base is also a salute or signal gun, sometimes also called a yacht cannon. It was designed with a top-loading breech which accepts small caliber blank charges, and was fired by a lanyard pull on a trigger. When the local Ukrainian social organization shuttered its club house operation, one of its leaders designed and invested in the placement of three large tablets in Saint Nicholas’ Ukrainian Catholic Cemetery. The third stone honors Ukrainian-American veterans. All were erected and dedicated in 2011. Now the city’s middle school, formerly its high school. Two memorial stones are placed by a tree and a flag near the stairway leading up the hill to the front entrance. One states that the Student Council of the Class of 1968 dedicated the grounds to those who gave their lives while serving in Vietnam. The other lists the names of fourteen alumni who were killed in action during the years 1966 – 1969. 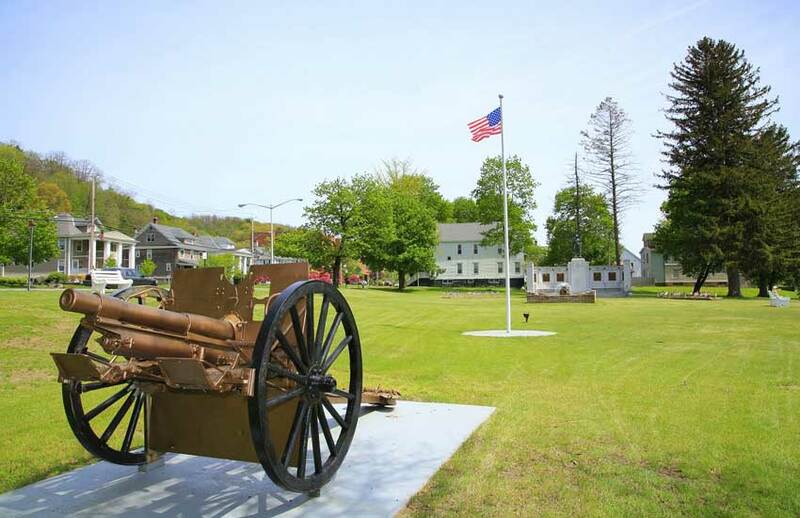 For years, these monuments have served as a focal point for the community: the start or ending points for memorial parades and events. Whereas once Amsterdam had over twenty veterans’ organizations, now it has only two. 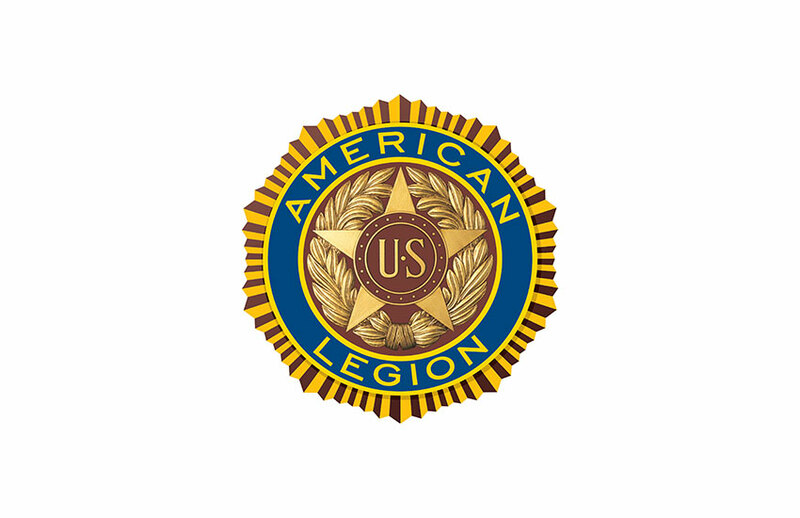 American Legion Post 701 and the Polish American Veterans, who cooperate with Girl and Boy Scouts, and local school classes, work to ensure that each veteran’s grave or veterans’ memorial is appropriately honored each year. A diverse community, Amsterdam is proud, and remembers, the devotions and sacrifices of it sons and daughters: whatever their background: when called, they were all Americans. The information in this page is as accurate as known in April, 2018. Corrections and additions to this article should be sent to the City Historian RobertVon Hasseln.